All events are free and open to the public, though donations are greatly appreciated and support the continuation of the Arts Series. These concerts are made possible with funds from the Decentralization Program, a regranting program of the NYS Council on the Arts with the support of Governor Andrew Cuomo and the New York State Legislature and administered by the St. Lawrence County Arts Council. 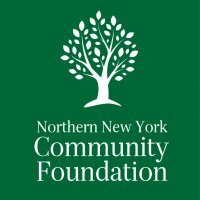 The performances are also made possible by a generouse grant from the Northern New York Community Foundation.